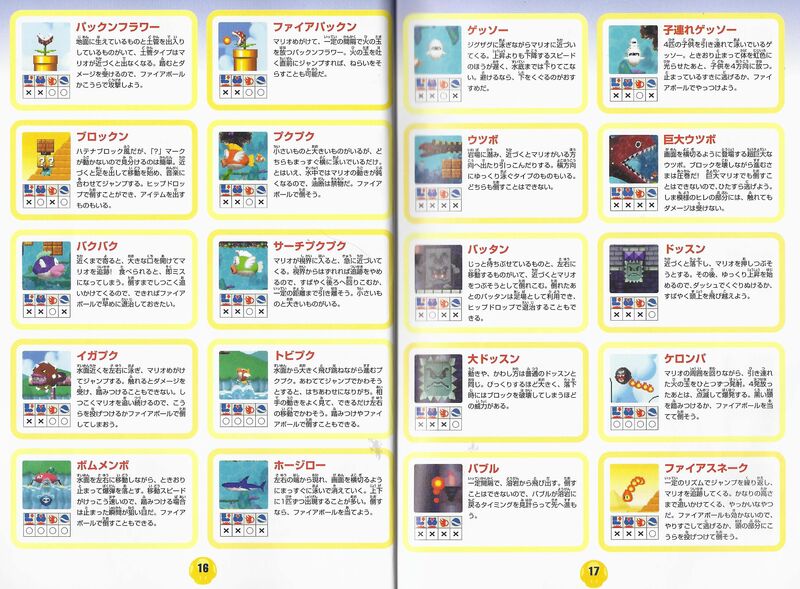 Mega Unagi are a gigantic version of Unagi that appear in New Super Mario Bros. Mega Unagi chase Mario (or Luigi) through two underwater stages in the game, 4-3 and 8-3. They are very dangerous, and destroy everything they can, such as Brick Blocks and ? Blocks. There is no way to defeat a Mega Unagi. However, Mario can go "through" one with a Mega Mushroom or a Super Star, by swimming through its back, as Mario will collide with it if he tries to go through its face. 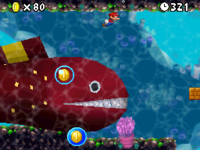 Unlike Cheep Chomps, Mega Unagi cannot eat Mario and cause him to lose a life instantly; instead, the player will take damage like a regular enemy. Normal Unagi are larger in most subsequent appearances and thus appear to be closer in size to Mega Unagi. This page was last edited on April 5, 2019, at 16:19.